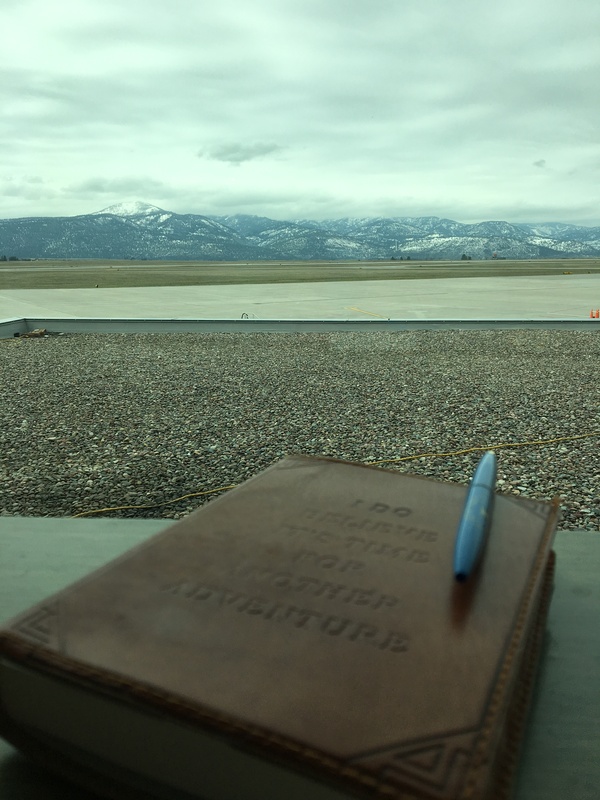 Traveling to Montana provided us with a unique perspective on the United States. In Montana the Elk, Deer and Antelope population outnumber the humans. It is the fourth largest state with forty-three state parks and twenty-five scenic byways. Montana has been nicknamed the Treasure State. The most visited place in Montana is Glacier National Park which is known as the Crown Jewel of the continent and the Backbone of the World. Wow, those are some hefty statements to live up to! 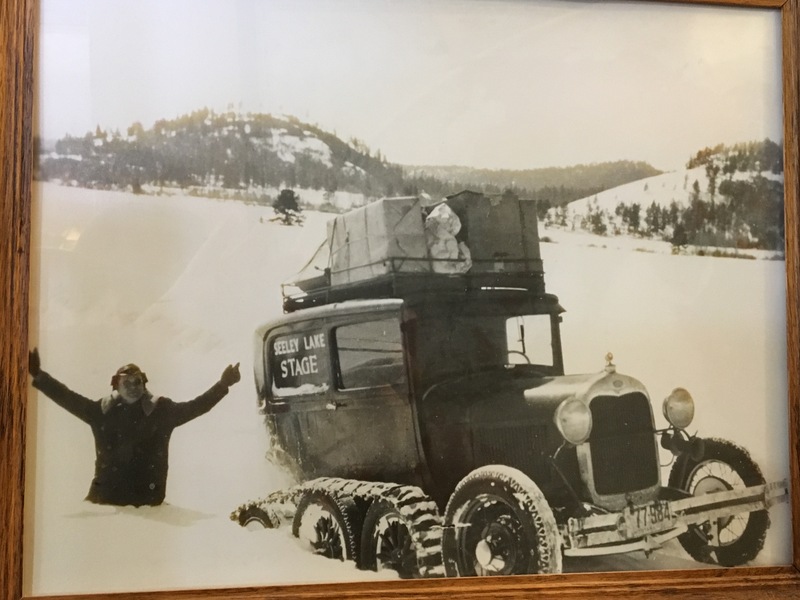 A true Montana Moment begins with meeting Bob…Bob Marshall Wilderness that is …which is one of the largest roadless areas in the USA. This state, that sits just under Canada, and borders Idaho, Wyoming, and The Dakotas is pure beauty. 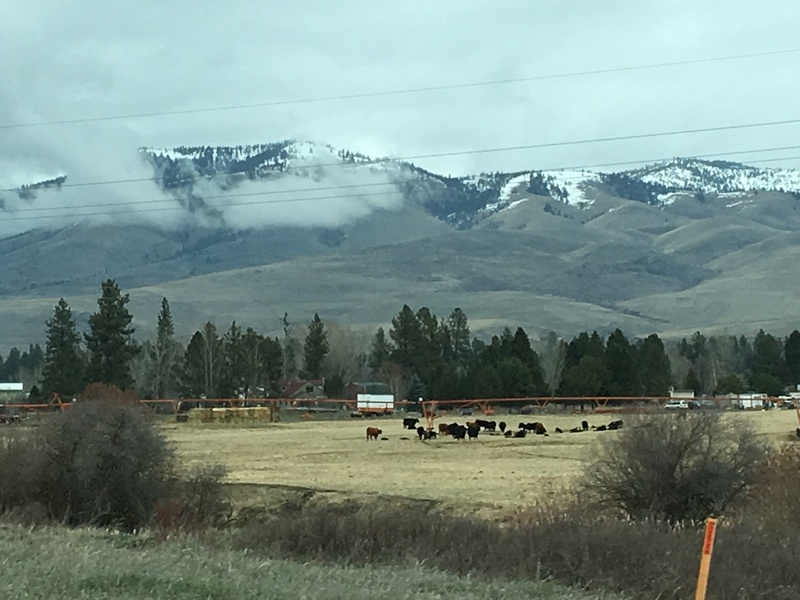 A state where traveling the Hi-Line refers to communities located along US Highway 2, with names such as Beaver Creek and Bear Paw Battlefield. The community of Square Butte contains a small population of mountain goats who call its table like summit their home. In Montana the term Pick Up Line refers to fly fishing and a Bear Claw is an actual thing to watch out for … not just a flaky almond pastry. 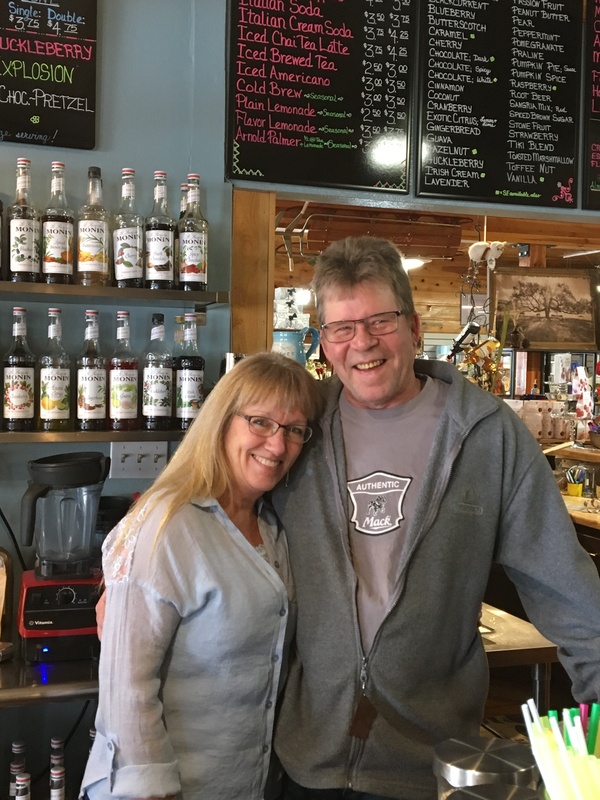 When the Montanans are tapping …they are crafting beer not Maple Syrup and their version of Beets are the Sugar Beet which is a variety from which sugar is extracted to provide an important alternative sugar source to cane. The pulp that remains after processing is used as feed for livestock. Another fun fact is that Montana holds the world record for greatest temperate change in twenty-four hours and the largest snowflake ever observed was recorded here on January 28,1887 almost fifteen inches wide. An explanation as to why it was still thirty degrees and snowing on April 2! 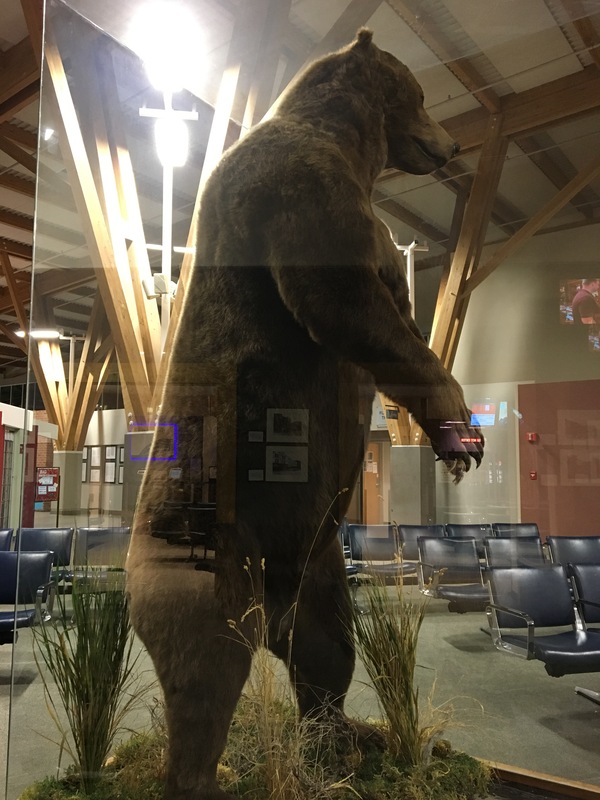 My first clue that we were far from New York may have been the large brown bear that greeted us at Missoula Airport. Impressive…and immediately telling of the natural beauty that awaited us and the largeness of everything West! We learned that Montana has the largest grizzly bear population in the lower forty-eight states and perhaps that is why they name it as their state animal! Montana is considered to be the Land of Many Stories with Big Sky, Big Land and Big History. Montanans run on mountain time. Those Mountains are the Rocky Mountains which run North to South through portions of the state. Mountains with names like Garnet and Sapphire Range and towns with names such as Salmon Lake, Bear Mouth, Big Fork and Deer Lodge are telling as to what lies beyond them. Nancy and Mark Butcher, owners of Blue River Station. An Ice Cream and Espresso Bar as well as gift shop featuring all things Montana! Our kind of people….Our kind of place! 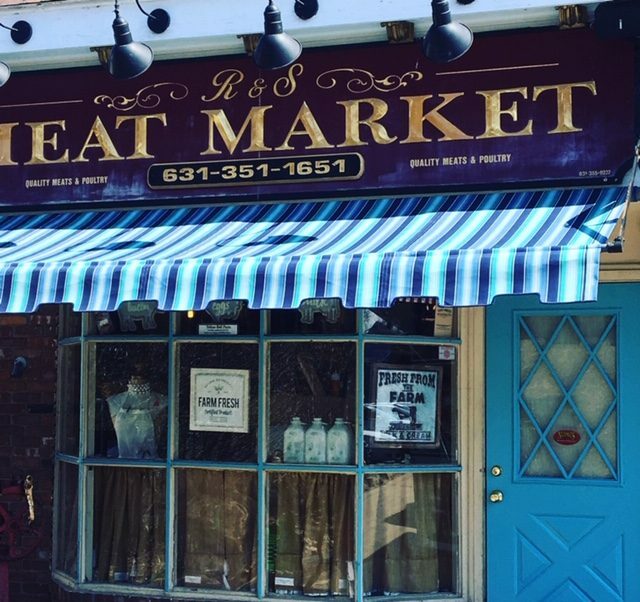 Everything Connects…A Different Kind of Butcher and our Favorite Story! Our travels through the mountains of this beautiful state brought us to the Town of Seeley Lake. This small community reminded us of our happy place, Upstate NY. If you are looking for snowmobiles, ice fishing, and winter sports …this is the place to be. As we drove thru Seeley Lake looking for a fun place to stop for a snack and souvenirs I was drawn to a little shop named Blue River Station. From the hand carved wooden artwork out front, to the neon sign that enticed us with Coffee and Huckleberry Ice Cream, I knew this was our kind of place. Inside this beautiful little shop, we met Nancy and Mark Butcher who own the luncheonette and gift shop. Their son Josh and family pet Bentley welcomed us with big smiles and tempted us with ice cream and gluten-free chocolate cake! As small business owners, we enjoy to meet other families who are working in a similar manner to us. Nancy and Mark have been married for forty years so she claims that she was the first Butcher’s wife! I will have to agree! What a great conversation we had as we learned that the Butcher’s moved to Montana from Washington State in 2012 to purchase and restore this gorgeous piece of history. Photos of the original cars that delivered mail and packages to the “sorting station” in the early nineteen hundreds line the walls. A friend still owns one of the original mail cars and has completely restored it! In the 1940’s the sorting station was converted into an ice cream parlor and the original wooden booths are still used today. Nancy sources local pottery and artwork as well as many handcrafted items from native Montanans’. Mark, who’s Uncle was an actual Butcher by trade in Missoula for years, grew up on a farm in Kansas. Today he works with Nancy at the shop but also commutes to Alaska to work on an Oil Drilling Rig. Hard work that is so essential! When Nancy nonchalantly told us that he commutes for six weeks at a time to Alaska for work, I decided I needed to stop complaining about my thirty minute drive to Our Market! Puts things in perspective! Thank you Nancy and Mark for sharing your story with us and being a part of our Montana Experience! The boys sampled the Huckleberry Ice Cream! Yum! I found souvenirs! 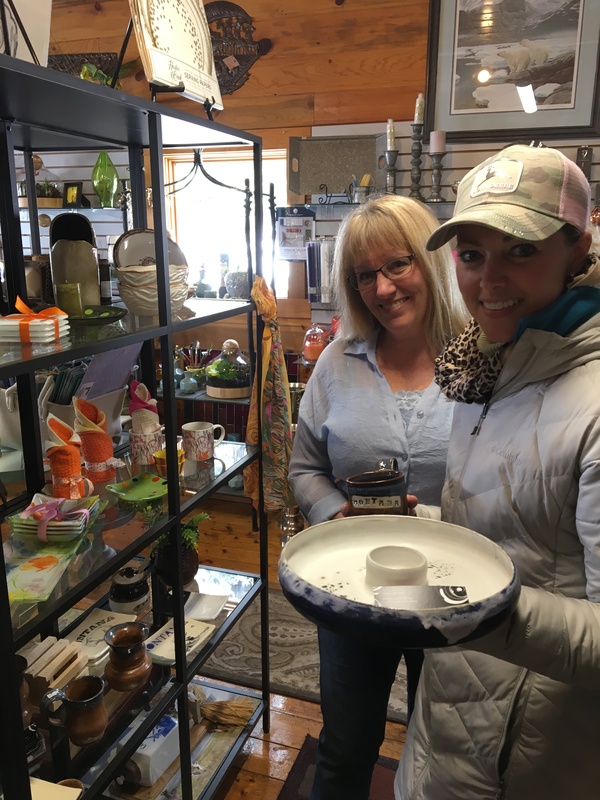 Locally Handcrafted Pottery…right up my alley! In the early 1920 Blue River Station was a mail sorting station. A delicious dinner at The Montana Club! Reminds me of a scene from Upstate NY! Seeley Lake is a wonderful winter destination. Watch out for the Big Horn Sheep! Nancy Butcher, makes her own soups at her beautiful Cafe! The Butcher needed souvenirs…need I say more? 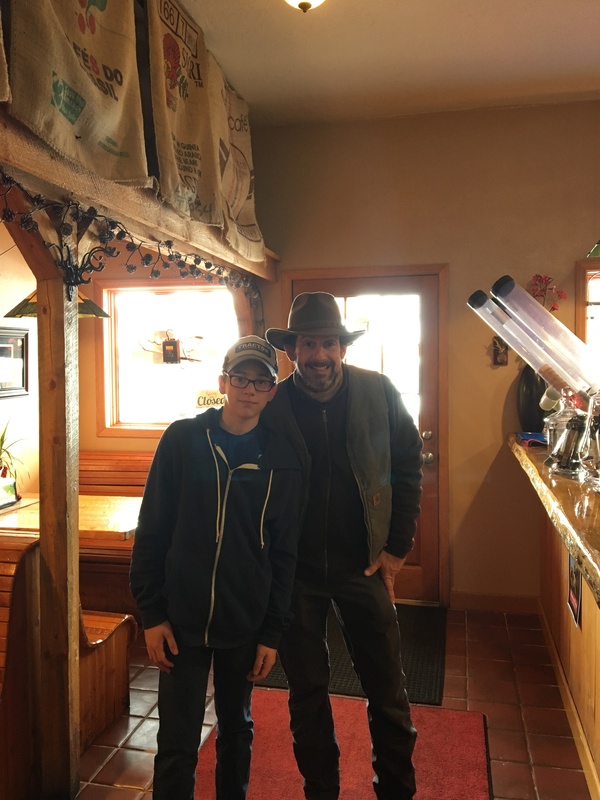 Follow this link to see more of our Montana Experience and the story of our visit to Meyer Company Ranch. Montana is a special place glad you were able to experience it!